Mark Richt is not an embattled football coach. Neither is he a coach on the proverbial 'hot seat'. His job is not in jeopardy. However, his football team is a team headed in the wrong direction, and he is the one who must "right the ship". He will not make staff changes in the middle of this season, nor will he give up on the season by making wholesale personnel changes in order to begin preparing for 2010. Be assured, Mark Richt will not 'mail in the season', but he will devote himself to salvaging it. 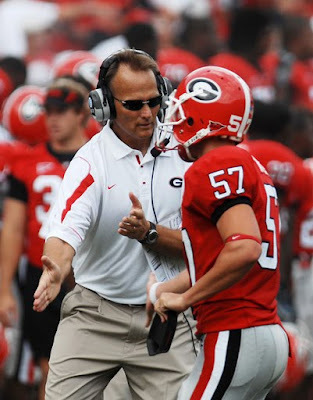 His Bulldogs stand at 3-3 halfway through this 2009 season. He has a date with Florida which he will not win, and he has one with Tennessee Tech that he will. He has games with Vanderbilt and Kentucky that he will be favored in. Games that he should win if he plays differently than he did in Knoxville. 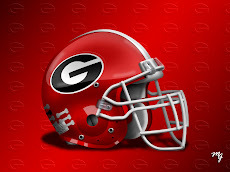 That leaves contests against Auburn and Georgia Tech that Georgia probably will not be favored in, but could still obtain victories if the present way of playing football in Athens changes. Running the table except for Florida is not likely under the present conditions, but it is nevertheless possible. 8-4 is possible, not that I would wager on it, but still a possibility. 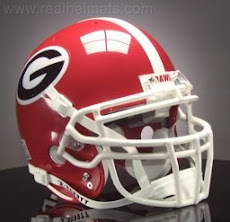 That is the reason Richt isn't ready to give up on this edition of his Dawgs. But regardless of how things play out this season, Mark Richt must make significant changes to his program before spring practice. 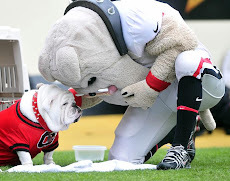 Even with all the talent he has stockpiled from awsome recruiting classes, no other team fears Georgia anymore. No team dreads playing Between the Hedges anymore. No team feels that they can't beat Georgia. Richt does not have to rebuild his program at this point, but he certainly must re-tool it. In a big way and in a hurry. He must do that to restore the pride within his program, and the respect outside of it.